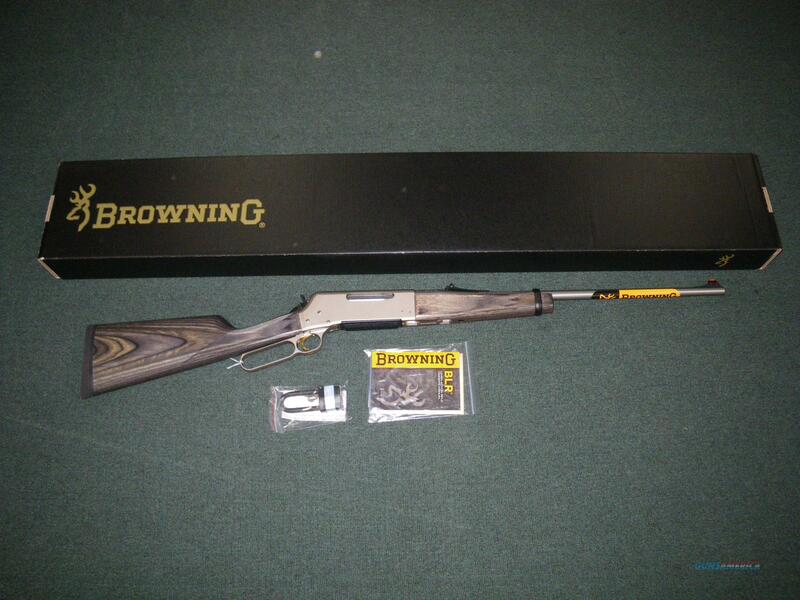 Description: You are bidding on a new Browning BLR '81 lightweight stainless takedown in 300 Win Mag with a 24” barrel. Rugged and rowdy, right down to its very core, the BLR Lightweight ’81 Stainless is ready to take on the toughest hunting conditions you (and Mother Nature) can dish out. The satin finish on the laminated gray hardwood stock, the satin-nickel finish on the receiver and the matte finish on the stainless barrel mean no reflections will spook your trophy buck. The TRUGLO/Marbles fiber-optic front sight lets you draw a fine bead in low light conditions. This is what a serious lever-action hunting rifle should be, and what every other lever-action wishes it was. Displayed images are stock photos. Any questions please feel free to ask (our phone number is in the additional information tab above).